A teachers calendar has the details of the monthly activities to be conducted in the class including holidays. The calendar is a printable annual calendar. The calendar gives the students the details of the major activities for the year. 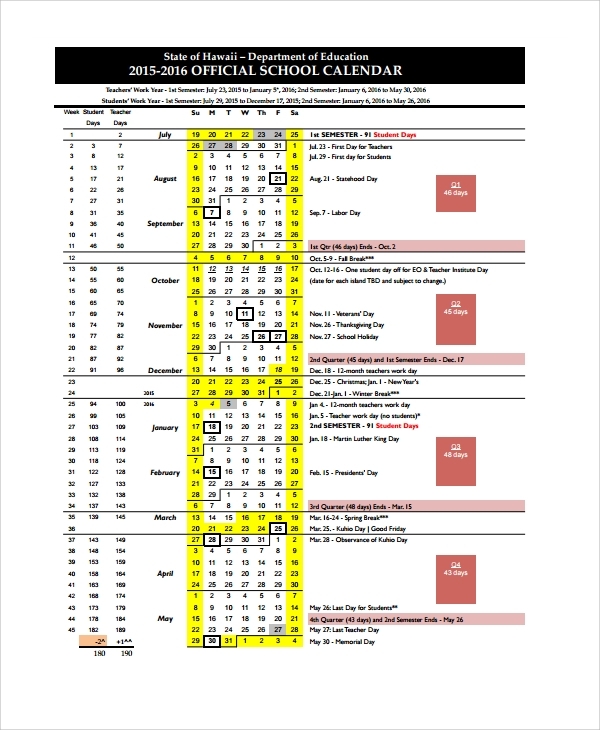 A copy of the calendar can be given to students so that their parents are aware of the same. 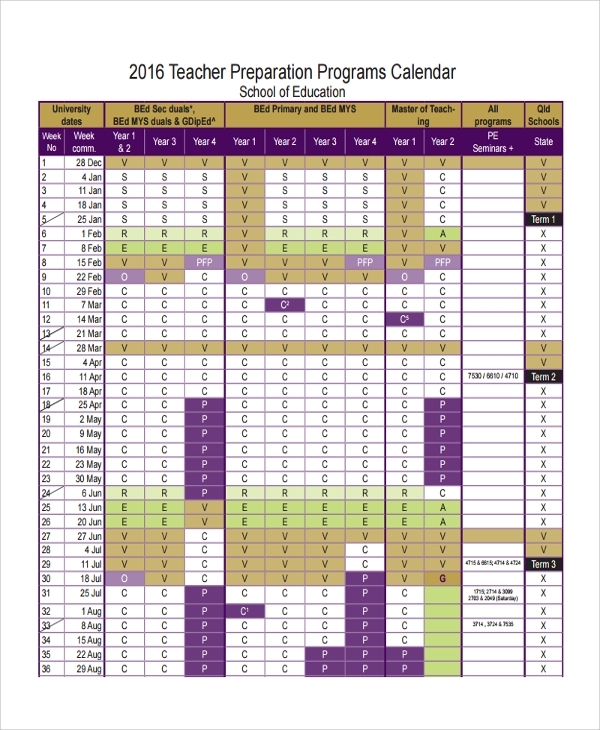 The teacher calendar helps teachers to maintain a schedule. The Calendar Templates can be maintained on a monthly basis too. Elementary school is for children between ages 4 years and 11 years. Typically it is after pre-school and before high school. 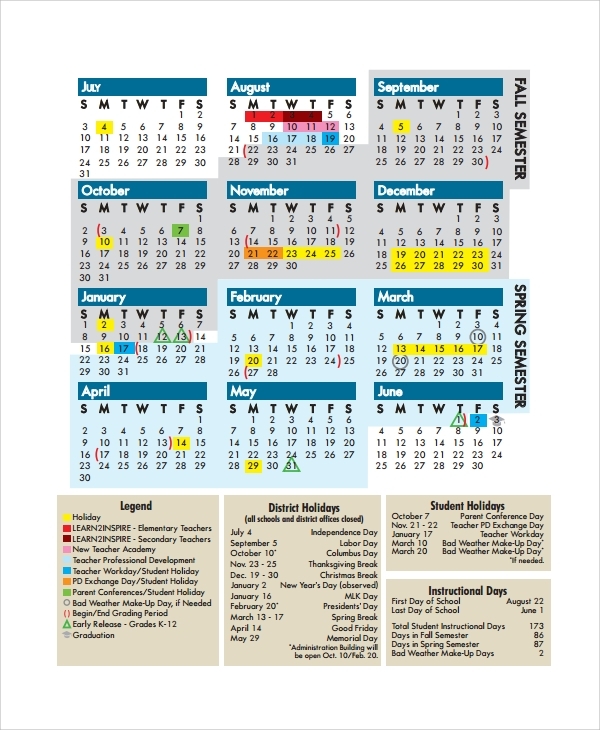 The elementary teacher calendar consists of all the details of how many days the teacher will work, what are the holidays, what time will they use for planning the studies and when will they teach. It will also have the major activities throughout the year. The calendar is printer friendly. Preschool is for kindergarten students. The preschool teacher teaches these small children. 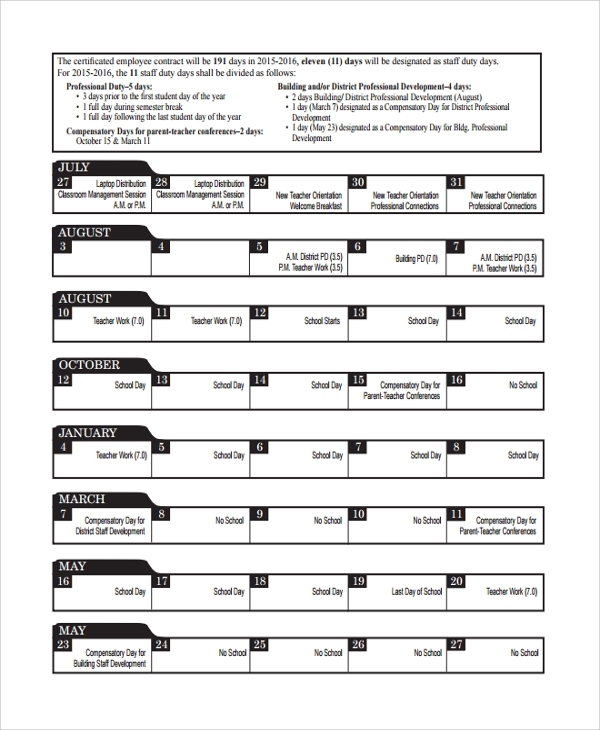 The calendar consists of the monthly activities in the school. 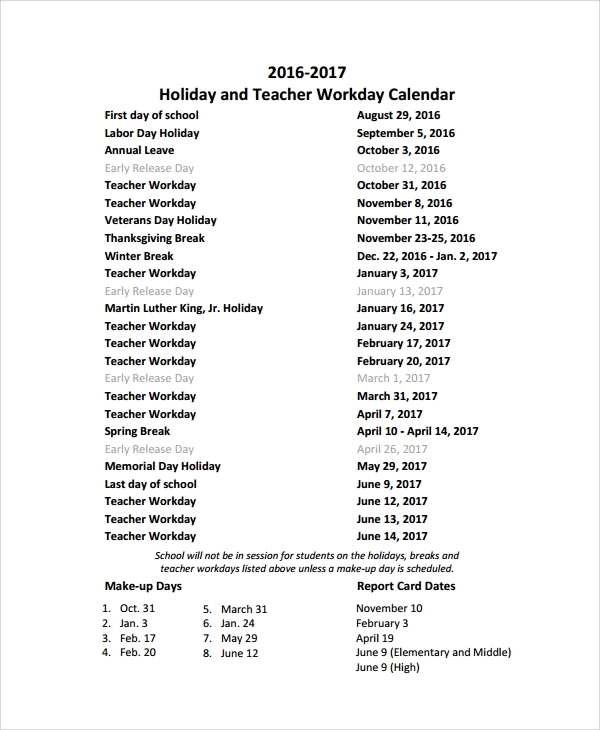 It contains the holidays and then the teaching periods and what would be covered in that period. 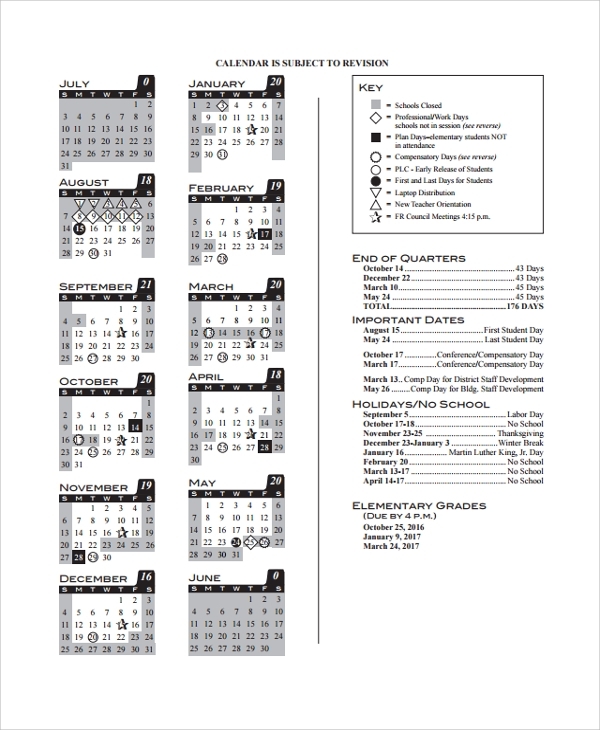 The preschool teacher calendar is attractive and is a printable calendar. High School is students between 8th to 12th Grade and they are senior students. The teacher needs to teach various subjects and make plans accordingly. 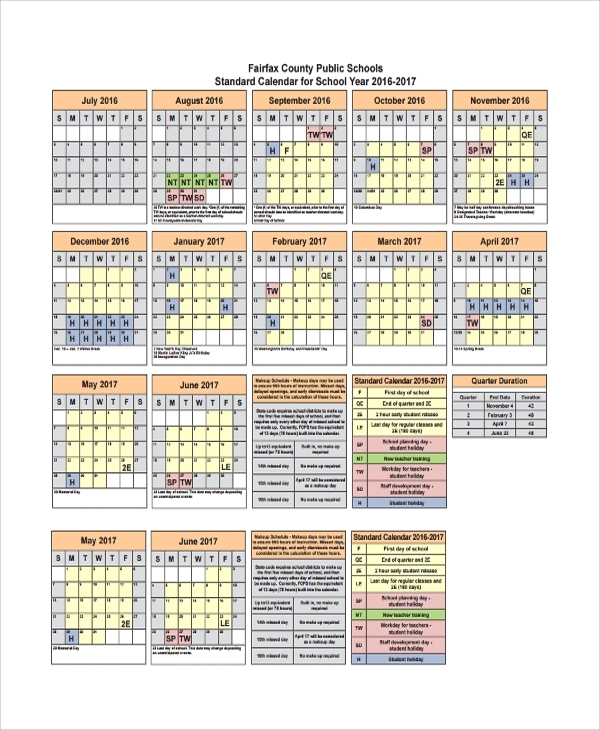 The calendar has the details of the holidays, non-working days, important events like annual day and parents-teachers meeting. It is basically a schedule of the high school teacher. 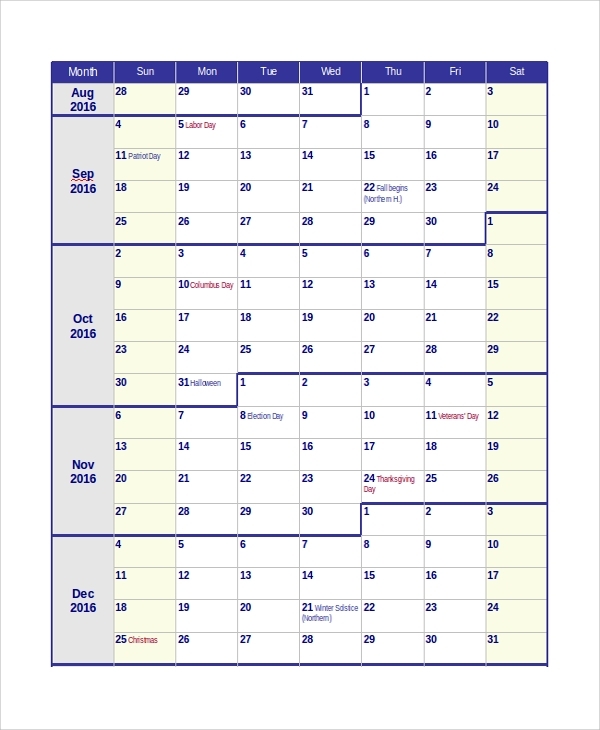 The blank school calendar is a blank calendar. One can use it to add one’s own content to the calendar. The blank calendar helps the teachers to mark the holidays and then write down the days which they will teach. The can add the content which they would like to and make this a school template of their choice. 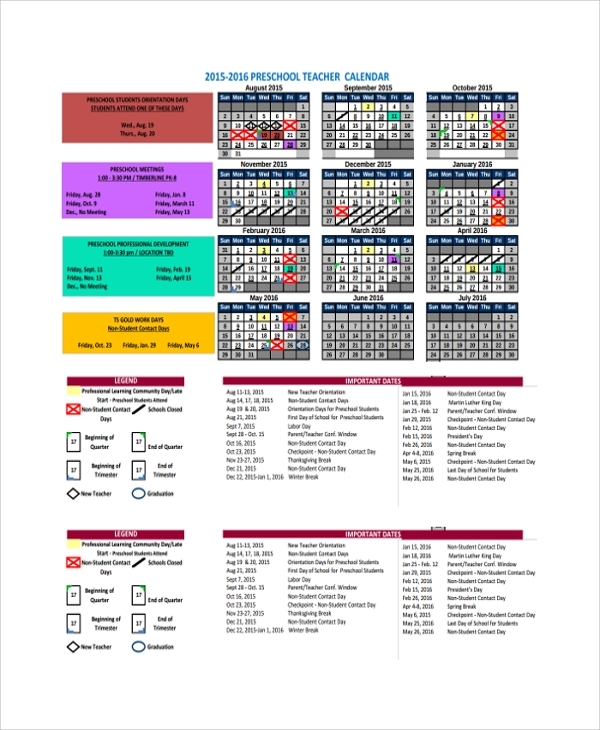 Teachers Calendar is used to maintain the timetable of the teacher. This includes the exact working hours and rules teachers need to follow. It will mark the holidays and any events on a monthly basis. This allows the teachers to plan for the event. In case there is an annual day then they can prepare the students for them or if they have a parents-teachers meeting they can be prepared with the progress of a student. 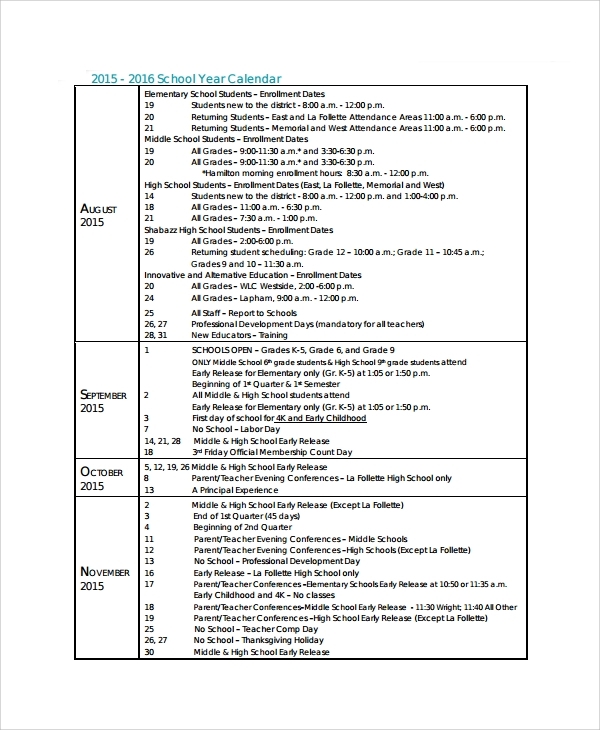 The School Calendar Templates helps to regulate the teachers work and follow a certain discipline. It also keeps the others informed about the plans. Different types of teacher templates in word, excel and pdf format are available on our web site. Download these templates and customize the same for your use. We have employed expert teachers to create these templates. In case you don’t find the template you need contact us and we will create one for you.